For the longest time pool and spa owners had to rely on the chemical testing skills and expertise of their local pool and spa professionals but those days have passed. Now homeowners can test their own pool and spa water for metals — without having to take a year’s worth of chemistry courses! 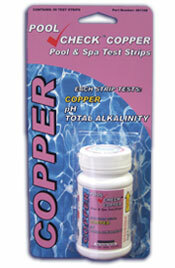 * The Pool CheckTM Copper test strips offer fast, accurate test results for copper, pH and alkalinity at a reasonable cost. * The Pool CheckTM Pro Metals test strips offer fast, accurate semiquantitative test results for ‘all’ metals at once. It does not specify which metal(s) it detects, but it does give pool owners a better idea of how much staining potential their pool water has. 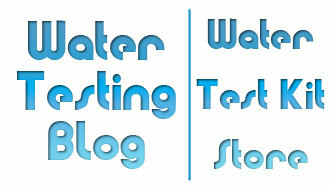 * The eXactR Micro 7 pool and spa testing meter tests for many parameters including iron and copper. * Other testing methods include using ‘wet’ chemistry kits from companies like Lamotte and Taylor, but they typically involve slightly more advanced testing techniques such as titrations. Wet kits also make use of messy dpd liquids, difficult to dissolve dpd tablets, and awkward dpd powder pillows. For those who suspect that their source water contains metals, the SenSafeTM Metals Check test strip will work quite well. 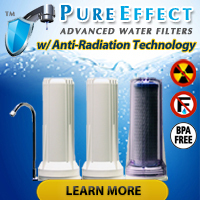 It detects the metals commonly found in tap water and well water and provides accurate metals testing results in under 3 minutes. Can Metals Stains in Pools be Removed? For the most part, yes. The task will take effort, though, in some cases. Owners of concrete and gunite pools suffer even worse fates when it comes to metals staining. Typically they must wash the stains away using diluted muriatic acid — and in some cases that means draining the pool completely before they can begin. Due to the annoyance, expense and inconvenience associated with the removal of metals stains from pool liners and plastic fixtures, swimming pool professionals recommend testing for metals on a regular basis if the pool has a heater, uses a copper or silver ionizer, or has recently had water added to it that may have contained dissolved metals.